Climatologist Michael Mann, creator of the infamous “hockey stick” graph, has filed suit against National Review and the Competitive Enterprise Institute for allegedly defamatory blog posts attacking Mann and his work. Dr. Mann has posted a release about the suit on his Facebook page. I’ll post links to the complaint once it’s on-line. In the meantime, here’s my prior post on the controversy. Given that Dr. Mann is a public figure and a prominent participant in climate policy debates, and that debate over the soundness of the “hockey stick” graph continues, I am skeptical of this suit — and I say this as someone who believes human activity is contributing to climate change and supports appropriate policy responses. All sorts of outrageous charges are made all the time in the rough and tumble of the current climate debate, and many people forthrightly believe that Mann and others have cut corners in their scientific research. I think this will make it difficult for Mann to show that those involved acted with “reckless disregard” of the truth. I also doubt the courts will be too eager to police the word choices of polemical blog posts made by political commentators in the course of heated policy debates. Then again, I’m not being paid to offer a professional opinion on this matter, and Dr. Mann has retained prominent counsel. Stay tuned. 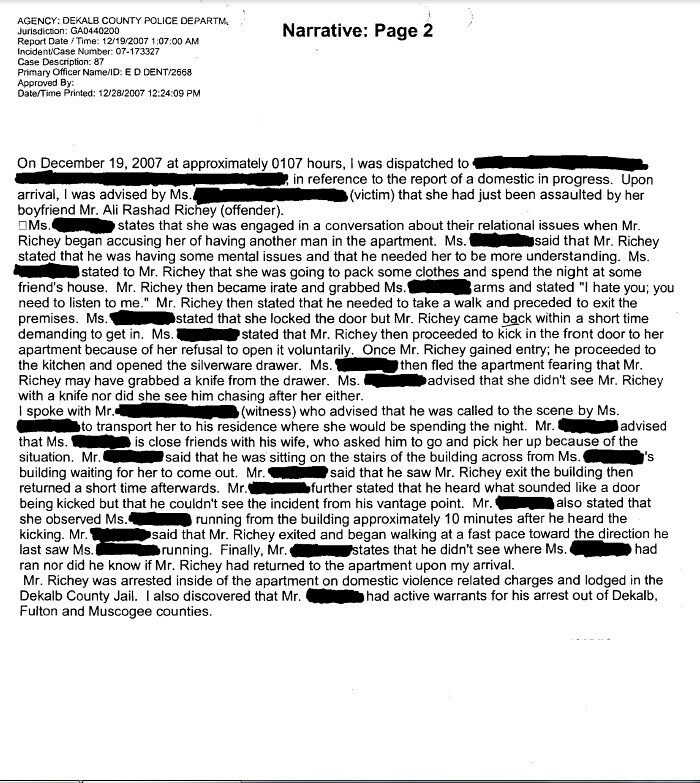 UPDATE: Here is Michael Mann’s complaint. BLT covers the story here. Steyn’s comments may have been over the top, but are they worth a lawsuit? Mann thinks so, and has threatened to sue if NRO does not remove the offending blog post. Usually, you don’t welcome a nuisance lawsuit, because it’s a nuisance. It consumes time. It costs money. But this is a different matter in light of one word: discovery. Is It Libel to Say Someone Was Arrested When the Arrest Record Has Been Erased? G.D. [argues] that the record of his conviction [for possession with intent to distribute cocaine] was expunged [some years later] and, therefore, his conviction — as a matter of law — is deemed not to have occurred. G.D. submits that, after the expungement of his record, the pronouncement that he was convicted of a crime was simply false and the dissemination of the expunged information violated his privacy rights…. It is true that under the expungement statute, as a matter of law, an expunged conviction is “deemed not to have occurred,” N.J.S.A. 2C:52-27. But the expungement statute does not transmute a once-true fact into a falsehood. It does not require the excision of records from the historical archives of newspapers or bound volumes of reported decisions or a personal diary. It cannot banish memories. It is not intended to create an Orwellian scheme whereby previously public information — long maintained in official records — now becomes beyond the reach of public discourse on penalty of a defamation action. Although our expungement statute generally permits a person whose record has been expunged to misrepresent his past, it does not alter the metaphysical truth of his past, nor does it impose a regime of silence on those who know the truth. For good reason, “no court of last resort in this country has ever held, or even suggested, that prosecutions for libel on government have any place in the American system of jurisprudence.” The [lower court decision] would sidestep this obstacle by transmuting criticism of government, however impersonal it may seem on its face, into personal criticism, and hence potential libel, of the officials of whom the government is composed. There is no legal alchemy by which a State may thus create the cause of action that would otherwise be denied for a publication which, as respondent himself said of the advertisement, “reflects not only on me but on the other Commissioners and the community.” Raising as it does the possibility that a good-faith critic of government will be penalized for his criticism, the proposition relied on by the Alabama courts strikes at the very center of the constitutionally protected area of free expression. We hold that such a proposition may not constitutionally be utilized to establish that an otherwise impersonal attack on governmental operations was a libel of an official responsible for those operations. Mrs. Ruth A. Nichols, 164 Eastview, was treated at St. Joseph Hospital for a bullet wound in her arm after a shooting at her home, police said. A 40-year-old woman was held by police in connection with the shooting with a .22 rifle. Police said a shot was also fired at the suspect’s husband. Officers said the incident took place Thursday night after the suspect arrived at the Nichols home and found her husband there with Mrs. Nichols. Witnesses said the suspect first fired a shot at her husband and then at Mrs. Nichols, striking her in the arm, police reported. No charges had been placed. In April 2010, plaintiff was the serving Senior Resident Judge of Judicial District 13B in North Carolina and was engaged in a campaign to retain her seat in the November 2010 election. She was also a vocal supporter of William Rabon who was running for the North Carolina State Senate. Defendant, a citizen of North Carolina, was a known supporter of Rabon’s opponent, Bettie Fennell. Defendant also volunteered to serve as Fennell’s “Media Strategist” without receiving compensation. On 9 April 2010, defendant posted a blog entry on Facebook titled “Dirty Politics by the good ol boys.” The blog entry was also posted on Carolina Talk Network. In this post, defendant criticized Rabon and further stated: “When sitting judges campaign for a candidate, in clear violation of the seventh canon of the NC Code of Judicial conduct[,] [w]e are clearly into dirty politics” (hereinafter referred to as “the 9 April publication”). That same day, plaintiff’s attorney emailed defendant and informed him that plaintiff was a candidate for office and that Canon 7B(2) of the Code of Judicial Conduct allows a candidate to endorse any other candidate seeking election to any office. Plaintiff’s attorney also cited a memorandum issued by Chief Judge John Martin on 26 February 2010 in which he reiterated to members of the judiciary what conduct was permissible and what conduct was prohibited by the Code of Judicial Conduct during the 2010 election cycle. The memorandum specifically cited to Canon 7B(2) and stated that a judge was permitted to endorse any candidate seeking office so long as the judge is also a judicial candidate. A Greek court dismissed defamation charges Tuesday against a German magazine that had illustrated an article on Greece’s economic crisis with a doctored photo of the Venus de Milo statue [draped in a Greek flag and raising her middle finger]. The 2010 Focus magazine article, headlined “Cheats in the European family,” appeared after Greece admitted it had falsified data to hide its acute economic woes, problems that ignited the whole European debt crisis. A Greek prosecutor had charged the magazine with defamation and insulting a national symbol …. But the Athens court ruled that Focus had referred to acts by Greek politicians and not the country’s population in general…. Former Naples Police Chief Steven C. Guibord is charged with criminal defamation, a class B misdemeanor, in Uintah County. Prosecutors allege that he used the name of the city’s current police chief [Mark Watkins] to post derogatory comments on the online memorial pages for the two fallen Border Patrol agents…. Guibord — posing as Watkins — posted comments on memorial pages for two Border Patrol agents that are offensive to law enforcement officers, according to state investigators…. For those in the law enforcement community, being identified as a security guard is considered a serious insult…. The theory is that Guibord’s use of Watkins’ name — which essentially states to readers that Watkins posted the comments — is a knowing falsehood that injures Watkins’ reputation. One could argue that the falsehood isn’t defamatory, because a reasonable reader wouldn’t perceive the statements as that derogatory, and therefore wouldn’t have a dimmer view of Watkins. But given the audience, and the fact that Watkins is a police chief, I suspect that the attribution of the statements to Watkins would indeed injure Watkins’ reputation. “[T]he freedom … of the press” specially protects the press as an industry, which is to say newspapers, television stations, and the like — so have argued some judges and scholars, such as the Citizens United v. FEC dissenters and Justices Stewart, Powell, and Douglas. This argument is made in many contexts: election-related speech, libel law, the journalist’s privilege, access to government property, and more. Some lower courts have indeed concluded that some First Amendment constitutional protections apply only to the institutional press, and not to book authors, political advertisers, writers of letters to the editor, professors who post material on their websites, or people who are interviewed by newspaper reporters. Sometimes, this argument is used to support weaker protection for non-institutional-press speakers than is already given to institutional-press speakers. At other times, it is used to support greater protection for institutional-press speakers than they already get. The argument in the latter set of cases is that the greater protection can be limited to institutional-press speakers, and so will undermine rival government interests less than if the greater protection were extended to all speakers. A jury awarded $7.5 million in damages to the Iranian-born owner of Eastern Shore Toyota on Monday evening after his competitor called his business “Taliban Toyota” and accused him of being a terrorist. Shawn Esfahani, owner of the mega-dealership on Interstate 10, sued Bob Tyler Toyota in Pensacola and its sales manager for slander…. Esfahani fled from Iran in 1980, when he was 16, after the Islamic revolution…. He became a U.S. citizen and opened Eastern Shore Toyota in December 2007 after years of working in car sales…. According to the lawsuit, … [a Tyler Toyota manager told one pair of customers] that Esfahani was “from the Middle East, and he is helping fund the insurgents there and is also laundering money for them,” the lawsuit says. Another salesman told customers that “I can’t believe you are buying from that terrorist. He is from Iraq, and he is funneling money back to his family and other terrorists. I have a brother over there and what you’re doing is helping kill my brother,” according to the lawsuit. The story is in the news because of its particular fact pattern, but the legal issue is quite simple: Falsely accusing someone of being a terrorist, or a funder of terrorists, without any basis for believing this, is slander (or libel, depending on the medium use), and can lead to damages. It’s possible that the damages award will be reduced by the court, or by an appellate court, depending on how much strong plaintiff’s evidence was of actual and likely lost business. But the underlying finding of liability thus seems quite right to me, assuming the facts about what was said by Tyler salespeople are as the jury found them to be. And it today’s football-related legal news, the Washington Post reports that Washington Redskins owner Daniel Snyder has dropped his defamation suit against the Washington CityPaper over an unflattering story about him. Snyder had sought $1 million in general damages as well as unspecified punitive damages from the weekly paper; its parent company, Creative Loafing; and journalist Dave McKenna. McKenna’s story in November, “The Cranky Redskins Fans’ Guide to Dan Snyder,” was an unflattering account of Snyder’s tenure as owner of Washington’s NFL team, with an encyclopedia-style listing of alleged missteps and public-relations controversies over the years. . . . But people close to Snyder said the team’s owner felt vindicated when City Paper’s publisher, Amy Austin, acknowledged in a story published in April that one aspect of the story was not meant to be construed as literally true. . . . In his original lawsuit, Snyder said he was defamed by several parts of the article, including the suggestion that he had been kicked out as chairman of the board of the Six Flags amusement park chain and had gone “all Agent Orange” by cutting down a stand of trees on federally protected land that blocked river views from his Potomac mansion in 2004. He also objected to the story’s assertion that he had been “caught forging names” on consumers’ long-distance phone contracts while he headed a marketing firm, Snyder Communications, before taking over the Redskins in 1999. He denied all of those allegations.